Firm Lay Nylon Check Cord -- White 7/16 in. x 40 ft.. $49.95. 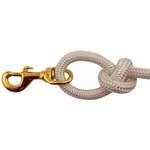 Firm Lay Nylon Check Cord -- White 7/16" x 40 ft.
White, firm lay rope -- approximately 7/16" thick. 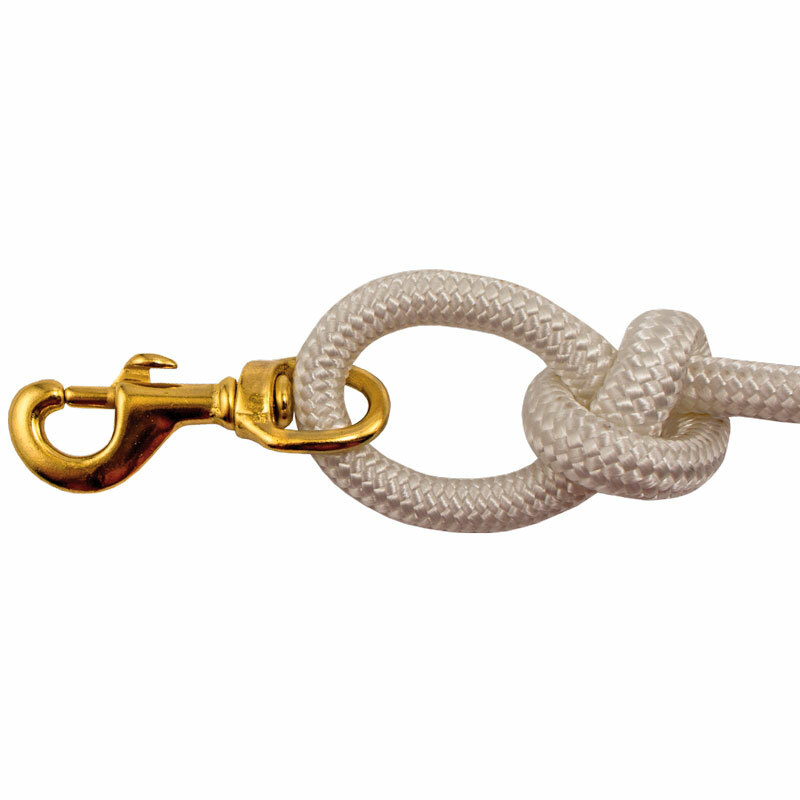 Brass snap secured with a bowline knot. Stiffer than our standard "white nylon" check cord. Country of Origin: Assembled in USA from parts made in USA and China. Firm Lay Nylon Check Cord -- White 7/16 in. x 40 ft.
Firm Lay Nylon Check Cord -- White 7/16 in. x 50 ft.